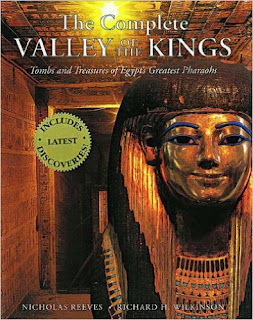 This account of the Valley of the Kings brings together its art, archaelogy and history in one volume arranged thematically. Famous as the burial place of the great New Kingdom pharaohs - such as Tutankhamun, Ramesses the Great and Tuthmosis IV - this valley contains some 80 tombs which were dug at the climax of Egyptian power more than 3000 years ago. The account includes full descriptions of over 80 tombs, complete with factfiles, lists of contents and computer-generated perspective cutaway views. It describes the burials and mummies of famous pharaohs, from Tutankhamun and gives a blow-by-blow account of the rediscovery of the tombs, from Greek and Roman times to Howard Carter and the present day. It details the latest research by the international teams in the valley, including the discovery of the tomb for the sons of Ramesses the Great. The planning and ritual purpose of the tombs is also described, from the royal workforce to the scenes from the mysterious "afterlife" books adorning the tomb wall. A full reference section, including a guide to visiting the valley, is also given. Cahiers de Karnak 15 now available.